In this post, we’re going to explore some points that Veat can do to help with user retention and conversion. To help with this task, we’ve brought in a few new users to give their initial reactions and offer some commentary. This could be a problem with connection, network, or servers, so it’s not anyone’s fault. One major issue with this, however, is that users are going to bounce FAST when this happens, and they probably will not come back. It could be the fault of our broadband, but this is just something for everyone to look out for when they’re working on a product that has to be connected to WiFi to work. 2. The UI is confusing. The profile information blends with the text on the video as well as the functional buttons at the bottom. 3. The screen gets very busy when the user first arrives in the app and functional buttons looks very similar to profile icons. There needs to be a little differentiation between the two for understandability. 4. There’s no prompt for playing the video. 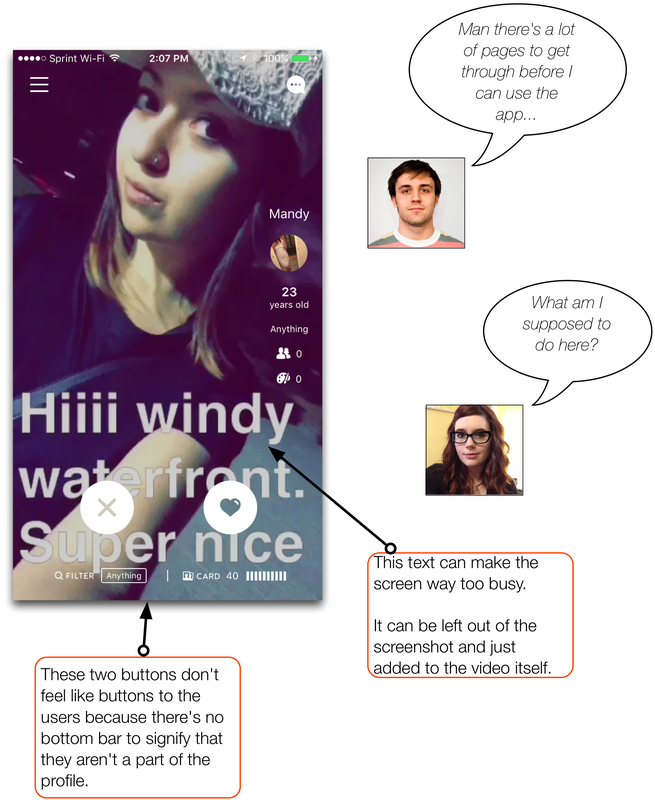 A few on boarding slides to explain functionality will help with this. 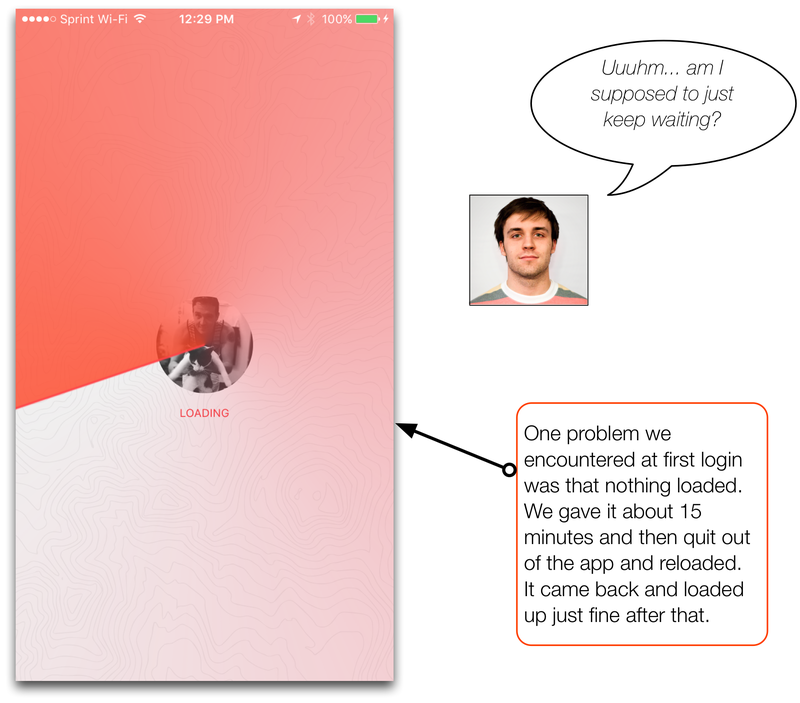 There is quite a lack of user onboarding, so each button and feature has to be discovered. This can make it difficult for a first time user to understand what users are looking at when they’re dropped into a new screen. If onboarding and teaching slides aren’t introduced, then there are quick work-arounds. This is a quick and dirty version of adding a little to the buttons at the bottom, but you get the idea: a little definition makes it easier to understand that these are features and not a part of the profile. 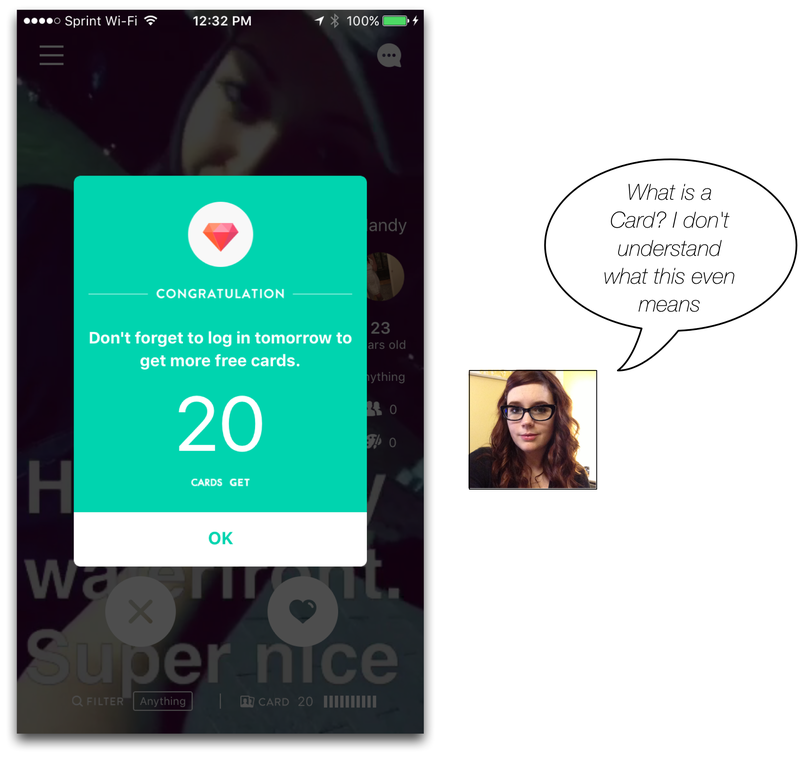 At launch, the user is given a notification that they have free cards. There’s not a lot given for them to understand what a card is. For Karen, it took some time to poke around to actually understand what this offer meant to her. 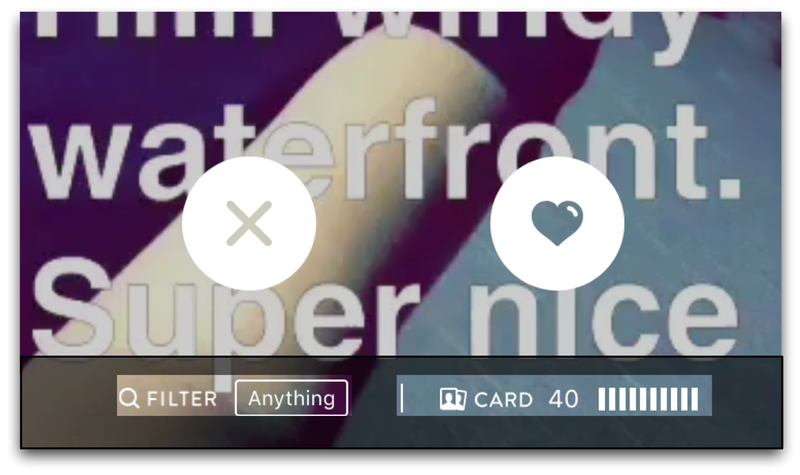 One quick change that can be made is to force the user through their first use of a card. If you make the learning process compulsory, it’s much easier and more engaging for users. Users need to know the benefits to them when making a purchase. This screen only presents them with a way to follow the app. This comes off as doubly unattractive to a user: one, they are being asked to spend money, and two, they are being asked to share something. One great way to get them to spend is to present the users with the benefits of buying new cards. We would try removing the “follow us” buttons and, instead, talk about what the user has to gain from spending their hard earned cash in the app. This is a great way to get users to accept allowing permissions. As opposed to automatically giving them a modal–a pop up requiring your attention–asking for permissions, Veat first offers an explanation with positive imagery giving a feeling of comfort and excitement to the user, then comes the modal. 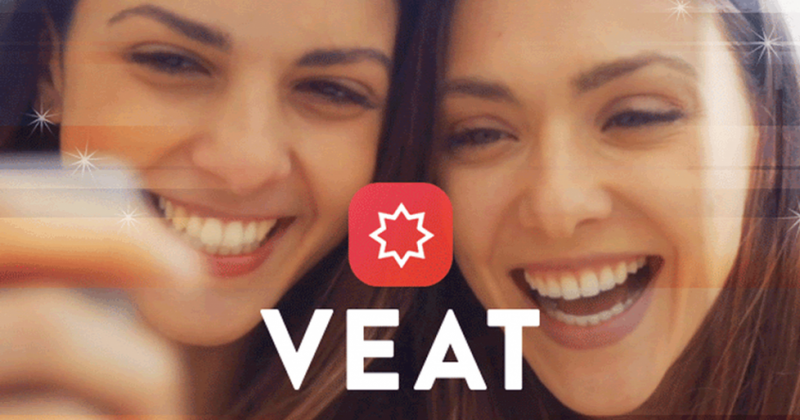 Overall, we think that Veat just needs a few small tweaks to help users fully understand the functionality and the purposes of purchasing.